One year ago today, I started this strange podcasting experiment called The Mouse Castle Lounge. It's gone through a lot of twists and turns during the last 12 months: different formats, different lengths, different frequencies (did I really once try to put out an episode every day?!?). I even changed the title for one episode. Thirty-eight shows later, though, I'm happy to see that the Lounge has evolved into a half-hour (give or take a few minutes) interview show full of fascinating people and great conversations. I really should have figured it out sooner. Jeff Kurtti was my first guest on October 27, 2012 and his wonderful knowledge and insight about Disney history should have been my first clue that letting smarter people than I talk about what they know makes for a pretty damn good show. There would be no Mouse Castle Lounge without an audience, so thank you for taking time to listen. Whether this is your first show or you've managed to slog through all 38 episodes, I'm so very happy you're here. The first round's on me. 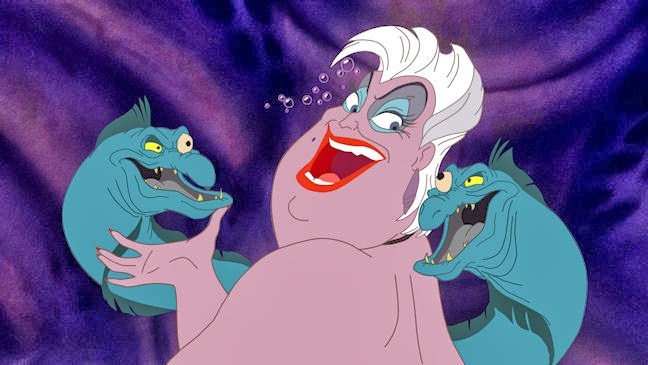 I can't think of a better guest to help us celebrate our first anniversary than Pat Carroll, the voice of Ursula in The Little Mermaid. Pat's career reaches back to the early days of television where she worked with greats such as Sid Caesar, Carl Reiner, Steve Allen and Red Skelton. She's a classically trained actress and comedienne who's won an Emmy and a Grammy for her efforts. She's funny and boisterous and tells the best stories about her entertainment exploits. In part one of our conversation, Pat talks about Ursula and the creative people behind The Little Mermaid who helped her bring her character to life. She also talks about her television career and the perils of riding a motorcycle in Las Vegas. So, cut off a slice of birthday cake and wash it down with some bubbly. It's time to celebrate in The Mouse Castle Lounge. Enjoy!